For many MSPs, integrating their security solution with their remote monitoring and management (RMM) and professional service automation (PSA) platforms is essential for doing business. Together, these platforms help lower the cost of keeping up with each client, ensuring profitable margins for a healthy, growing business. For true providers of IT services—MSPs that sell services rather than licenses and take a holistic approach to client IT health—RMM and PSA integrations are critical for keeping track of hundreds or even thousands of unique endpoints and automating recurring operations for numerous clients. Like many of the other features of our security solutions, our RMM and PSA integrations are custom-built with the needs of MSPs in mind. They’re designed to help MSPs create the most efficient, well-oiled versions of their businesses possible so that service is prompt, solutions are effective, and profit is preserved. Faster rollouts- One of the core benefits of RMM-assisted deployments, expect rollouts to new endpoints to be fast and hassle-free with well-designed integrations. New endpoints should be easy to set up with protection turned on in just a few clicks. Simplified management- Efficiency is key to profitability. So a centralized dashboard displaying what’s running, what’s broken and how, infection statuses, endpoints requiring attention, and more helps increase the number of endpoints a single technician can manage, boosting efficiency and, ultimately, profitability. The data you need- The best RMM and PSA integrations make it possible to get the data you need to run a successful business. Whether it’s per-client data for calculating a client’s cost to you, information on policy settings for sites and endpoints, or additional reporting delivered to clients to promote peace-of-mind, having access to allof your data empowers decision-making. 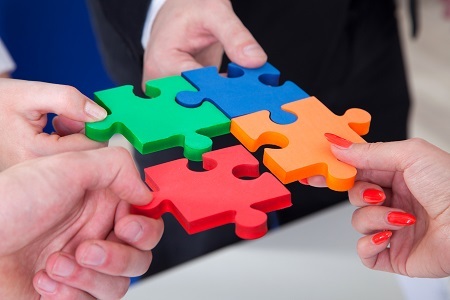 Integrating disparate products can be a laborious, time-intensive process. For that reason, many security vendors are reluctant to coordinate too closely with customers to automate functions unique to their businesses. But it doesn’t have to be that way. Advanced plugins and tools allow for complete customization of dashboards, reporting, and data tracking. Each can be customized to track the metrics most useful to the organization. Critical processes, like issuing periodic reports, can be fully automated. This can be extremely beneficial when it comes to communicating with customers. Weekly or monthly reports demonstrate that, despite a lack of any major security incidents, it wasn’t for lack of trying on the part of cybercriminals. More than simply allowing different business platforms to talk to one another, integration plugins can be used for running commands and performing actions. This includes creating, modifying, or deleting licenses, removing duplicate endpoints, or quickly creating new console sites. So when considering which cybersecurity vendor offers the most for your MSP, consider not only whether the solution allows you to communicate with your RMM and PSA platforms, but also how deeply. Does the vendor have a dedicated integrations team? Do they offer tools for the customization of business-specific reporting? Can essential, recurring business processes be automated? The answers to the questions above will help you determine how much value RMM and PSA integrations add for your business. In a market where margins can be razor thin and built-in efficiencies can make or break the bottom line, the answers may make all the difference.